This week's edition of WWE SmackDown Live (4th December 2018) saw a lot of contrasting moments from Daniel Bryan showing his new vicious potential by decimating AJ Styles to Charlotte Flair & Asuka failing to coexist as one single unit. However, there are always a few subtle moments that the audiences might overlook due to WWE's weekly schedule of programming. 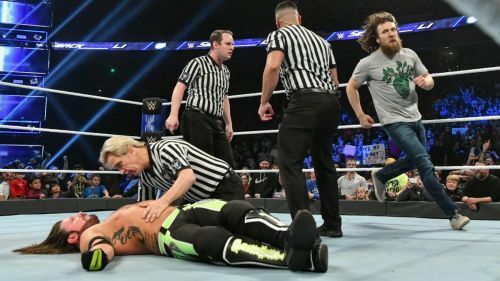 Make sure to send in your thoughts in the comments section below if you want to point out other obscure and interesting moments from this week's SmackDown Live. 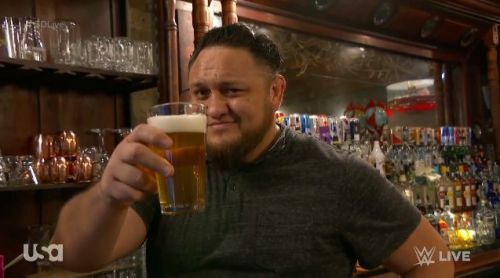 "Hello, I am WWE Superstar Samoa Joe, here to warn you about the dangers of excess (alcohol). You see, there can be too much of a good thing, and like most things in life, moderation is key. Now you see, you can make some really good choices. You can choose to have a couple of these (beers), go out with your friends and enjoy yourself, and maybe call it a night, or you can choose to have 14 of these (beers) and wake up in jail. That is, if you are fortunate enough to wake up at all. The choice is clear, drink responsibly. Cheers." As you can make out from reading the above quote, Samoa Joe mocked Jeff Hardy's struggles in real-life by sarcastically enacting a scenario regarding safe alcohol consumption. "These people, harm the earth every single day with their needless consumption, every single day they drink out of their plastic water bottles, every single day they eat their factory farmed meat which emits methane into the atmosphere which causes permanent change to the climate!" SmackDown Live had a pretty interesting tone last night. What makes this 'interesting' is the fact that even though these issues are relevant, SmackDown Live used its heels to weave these issues into their storylines in order to bring about new developments for their own personal feuds.